Cloose your eyes and imagine a world without the sounds of everyday, where silence is the soft music sung by nature … It ‘just a taste of this unforgettable experience in the River Nature Reserve Tirino by canoe. 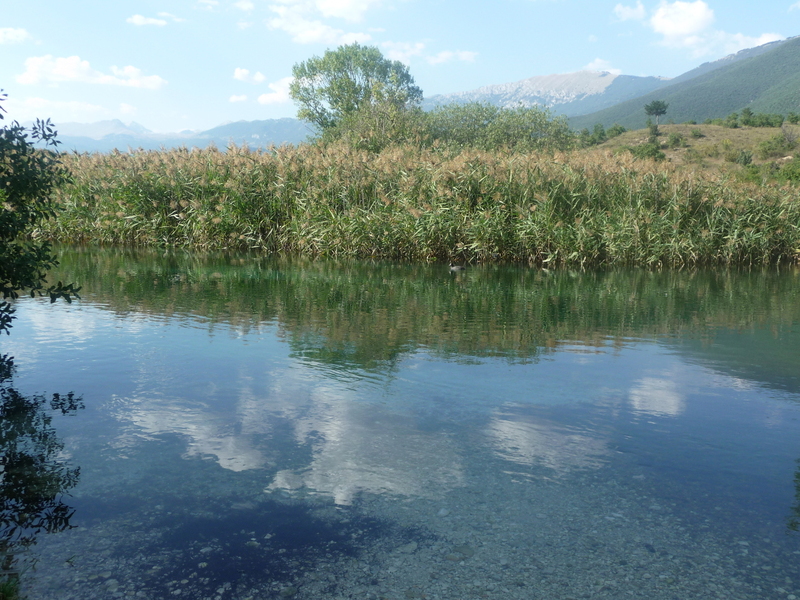 There is a river in Abruzzo, South Italy, that is famous for being the clearest in Europe. Tirino river, with its 25 km length, touches different countries of the province of Pescara and sometimes gives it its name, as for “Bussi sul Tirino“, a small village with 2,000 inhabitants. In Bussi sul Tirino there is a small cooperative that for years committed to the respect of nature combining responsible tourism and environmental education. “Il Bosso” is the name of the association and there are many summer activities offering visitors: hiking, mountain biking, guided tours in the woods or in the middle of the wolf recovery, training sessions on environmental issues. 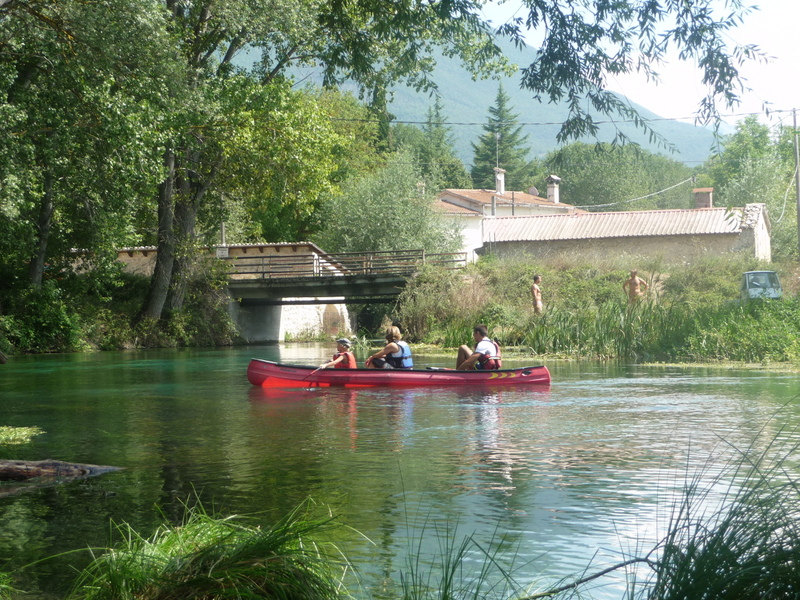 But the one who deserves most of all is undoubtedly the canoe excursion to the source of the river Tirino. 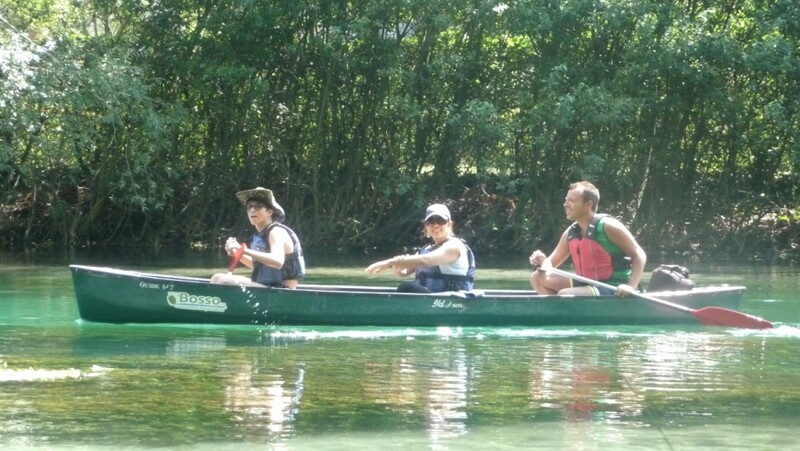 Accompanied by sympathetic and competent guides, let’s start by canoe from San Martino, in the municipality of Capestrano (Aquila), paddling upstream toward the source of the river, for about 5 km. During the journey guides give you historical and environmental information on the river and its inhabitants. They describe the flora and fauna characteristic of the area and other curiosity. A few meters from the arriving point you can dive into the river, very cold even in summer but clear so much to be able to see the bottom. 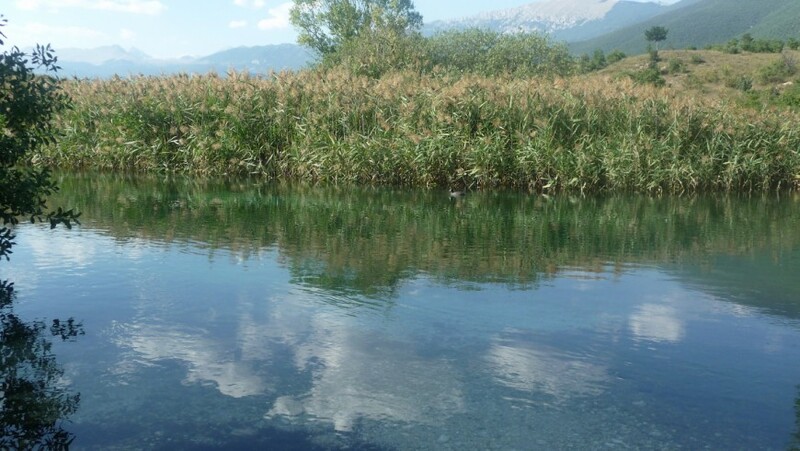 The river is so clean that the guys of the cooperative propose visitors to drink water and to taste sedanina: an herb that grows under water and that, as it is easy to imagine, has a taste reminiscent of celery. The tour also deserves only for this first part and for this unusual experience, but the best is yet to come: the return to the starting point is done in absolute silence and carried by the current. And if you meet these two simple rules, not make noise and not to row, the journey becomes unforgettable. You hear the sound of nature, the songs of birds and the rustling of animals through the vegetation. You can see coots approach the canoe or play away. You can meet small and soft sea birds they call “grebes” wallowing fast among the reeds at the edge of the river and disappear into the water. The sounds of nature to let your thoughts and really seems to be in a kind of earthly paradise. A sense of peace and serenity accompanies the hiker for the rest of the day! 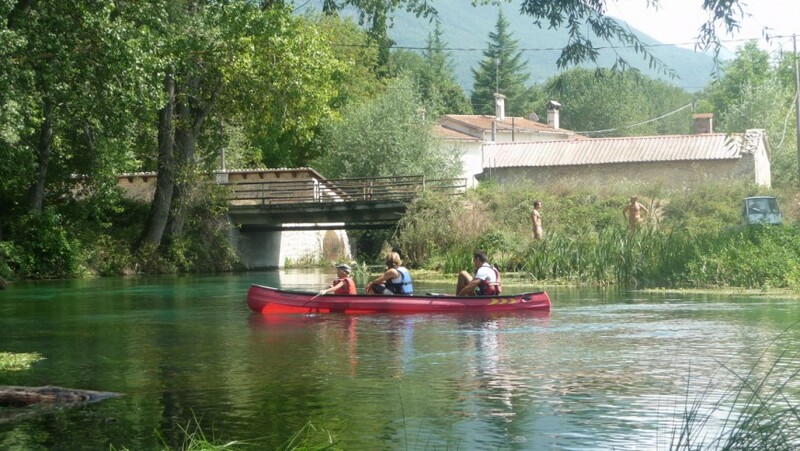 This entry was posted in journeys, weekend and tagged Abruzzo, Bussi sul Tirino, Canoeing, Pescara, Tirino. Bookmark the permalink.